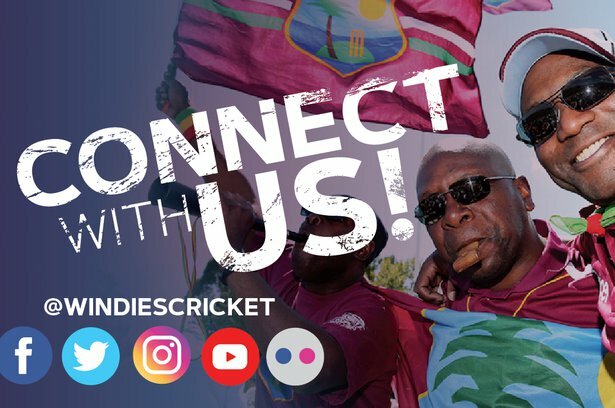 Jan. 20, 2019, 6:39 p.m.
Members of the West Indies team had a surprise special guest at their training session on Saturday when the great Sir Garfield Sobers paid them a courtesy visit. 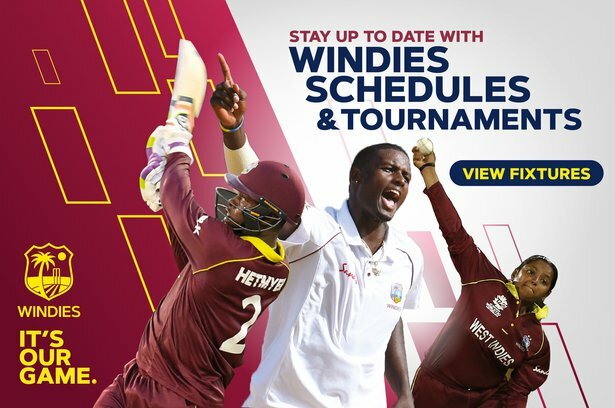 The legend, rated around the globe as the greatest cricketer the world has ever seen, was on hand at Kensington Oval as the Windies continued their preparations for the Wisden Trophy Test Series against England. He met the team as a group and also had one-on-one discussions with some of the players. 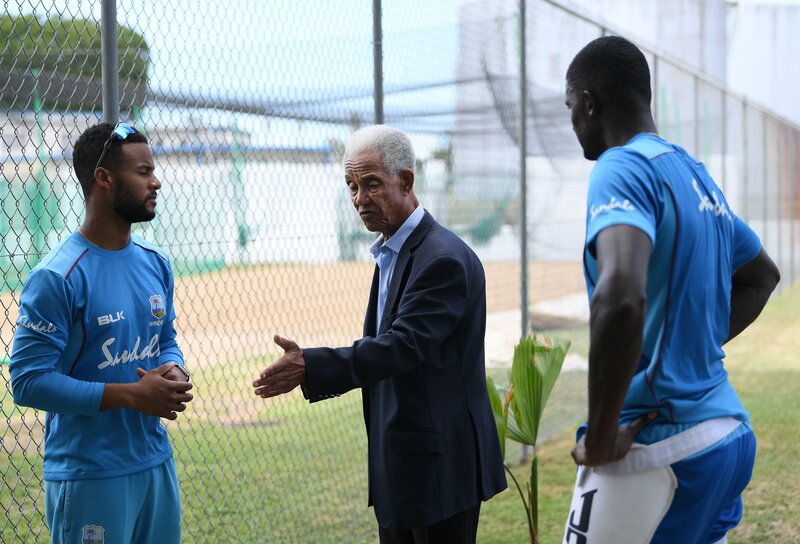 Darren Bravo who is making a comeback to the international scene said it was a great delight to see the great man again, while Shai Hope, one of the region’s best young players, said it was a honour to listen to words of wisdom from the icon. 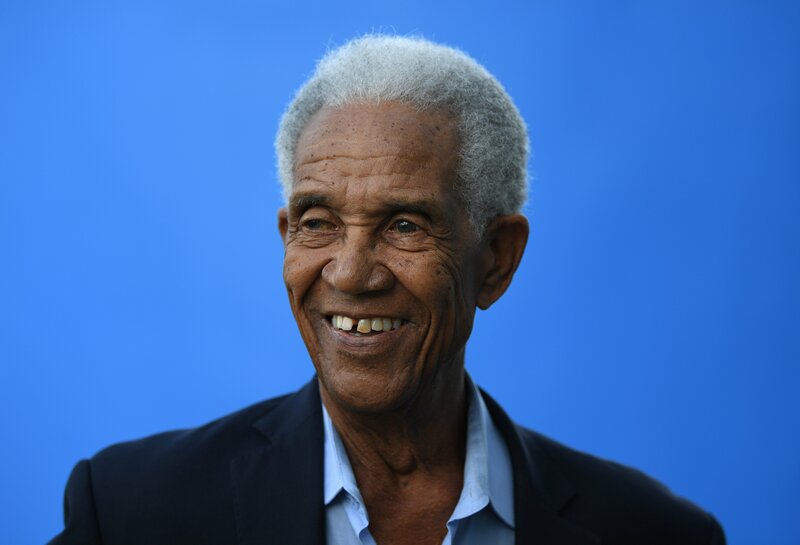 “As a little boy growing up in Trinidad my father would always talk about Sir Garfield Sobers and the amazing things he did on the cricket field. I would listen and it was obvious that from the way he spoke I knew he was a fantastic cricketer. Whenever I’m in Barbados I try to see him and speak to him. He was a great player and always has time to offer advice and knowledge,” Bravo said. “We’re here preparing for this Test Series and to have him take the time out to come and spend time with us is truly wonderful. We really thank him and want him to know we appreciate what he’s done for us,” remarked Bravo. During his playing days Sir Garry set many records and broke many barriers. He represented the West Indies in 93 Tests, scored 8032 runs with a highest score of 365 not out against Pakistan in 1958 – his maiden Test century. At the time it was the record for the highest Test score and stood for over three decades. He also took 235 wickets with his mixture of left-arm fast-medium bowling and left-arm spin.